At least, eight people were reported dead on Wednesday evening following an explosion from two fuel tankers in Zing, Taraba State. 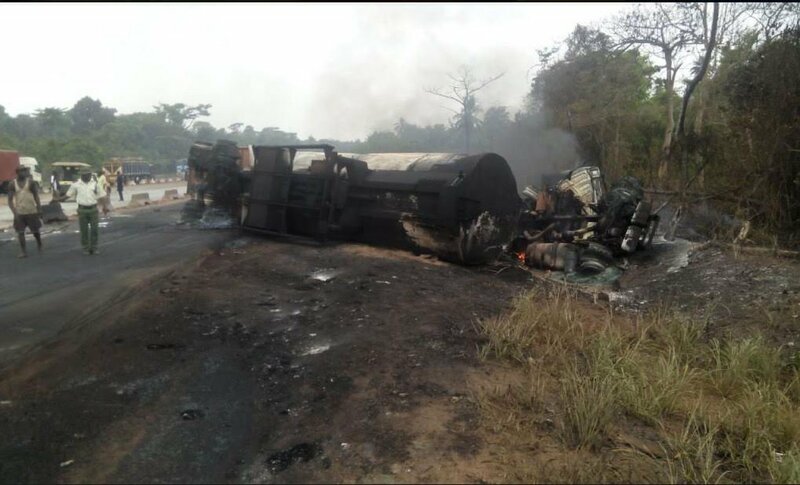 The incident happened while a tanker driver was reportedly running from soldiers chasing him. The driver was said to have lost control of the wheel and in a bid to regain balance, tumbled on another moving tanker. The Taraba police spokesman, David Misal, confirming the incident to newsmen said eight persons died from the explosion. “Though we are yet to get the exact figures but for now eight persons died in the fire,many others were injured and rushed to hospitals. “You know today is a market day, so many were affected including vehicles and shops,” he said.